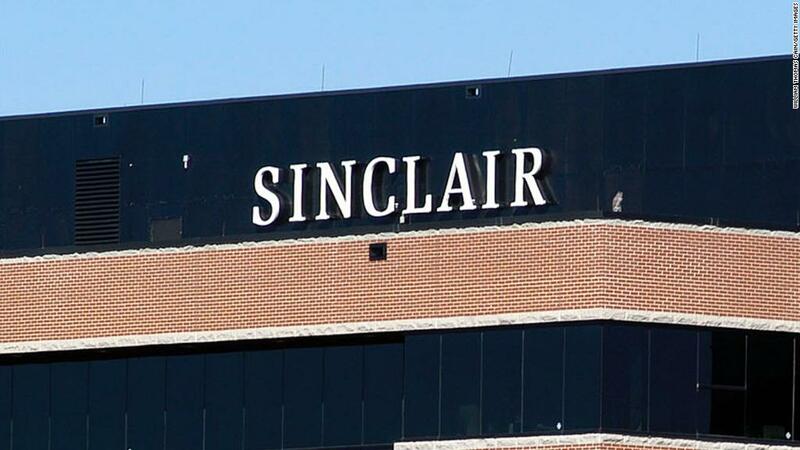 In an effort to appease government regulators, Sinclair is changing its plan for the sale of some of its stations as it awaits approval of its bid for Tribune. The company announced Wednesday morning it was pulling the sale of several stations, some of which it had planned to sell to companies with which it is closely aligned. On Monday, Federal Communications Commission Chair Ajit Pai threw a wrench in Sinclair's acquisition plans by announcing he had "serious concerns" about the $3.9 billion transaction, saying that some of the divestitures "would allow Sinclair to control those stations in practice, even if not in name." On Wednesday, the commission voted unanimously to adopt a Hearing Designation Order regarding the merger. Such a move by the FCC can often spell doom for a deal. Part of the FCC's concern dealt with how Sinclair was selling off some of its stations to stay within government ownership limits. Some of those stations, which Sinclair would have still operated, were being sold to companies that were close to Sinclair or its owners, like in Houston and Dallas, where the buyer is Cunningham Broadcasting Co., a company named after and controlled by the estate of the mother of Sinclair's executive chairman, David Smith. Now, though, Sinclair said it is pulling the sale of stations in Dallas and Houston to Cunningham Broadcasting Co., and withdrawing the pending divestiture of WGN in Chicago. "Sinclair intends to request permission from the FCC to put the Dallas and Houston stations into a divestiture trust to be operated and sold by an independent trustee following the closing of the Tribune acquisition,'" Sinclair spokesman Ronn Torossian said in a statement. "As a result of the withdrawal of the application relating to WGN, Sinclair will simply acquire that station as part of the Tribune acquisition, which is, and has always been, fully permissible under the national ownership cap." Torossian said Sinclair has had numerous meetings with the FCC to make sure the commission was aware of the transaction's structure and to meet FCC rules. He said they were always "transparent" with the FCC about who the buyers would be, "including any ongoing relationship we would have with any such stations after the sales" and that they never "withheld information or misled the FCC." "We were shocked that the concerns being raised now are being raised for the very first time. Nonetheless, we have decided to move forward with these additional changes to satisfy the FCC's concerns," Torossian said. "Accordingly, we call upon the FCC to approve the modified Tribune acquisition in order to bring closure to this extraordinarily drawn-out process and to provide certainty to the thousands of Tribune employees who are looking for closure," the statement continues. FCC commissioner Brendan Carr, who is supportive of Pai's call to hold a hearing, told CNN on Wednesday that he saw reports of the changes to Sinclair's divestments but "at this point I haven't seen anything that changes my mind." Democratic lawmakers and some of the company's Republican rivals have alleged that the FCC has given Sinclair preferential treatment, especially after the commission reversed an old rule, called the UHF discount, which allows media companies to own more stations, a loophole of sorts thanks to technicalities. The provision allowed Sinclair to move forward with its Tribune merger, which would mean Sinclair stations cover a vast majority of the country. Sinclair has come under fire in recent years for forcing its local stations to air "must-run" segments often with conservative political bents, including a regular series by former Trump adviser Boris Epshteyn, who opines on the state of the country. In April, Sinclair forced its anchors to read a promotional campaign that echoed President Donald Trump's anti-media rhetoric. An FCC spokesperson declined to comment for this story.